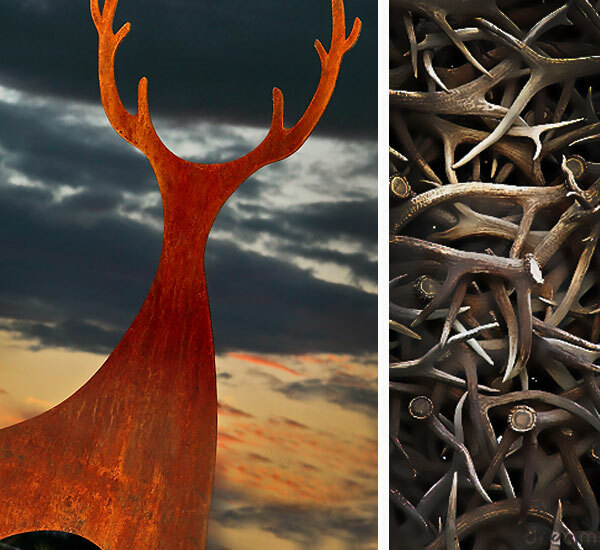 The Stag stands proud. 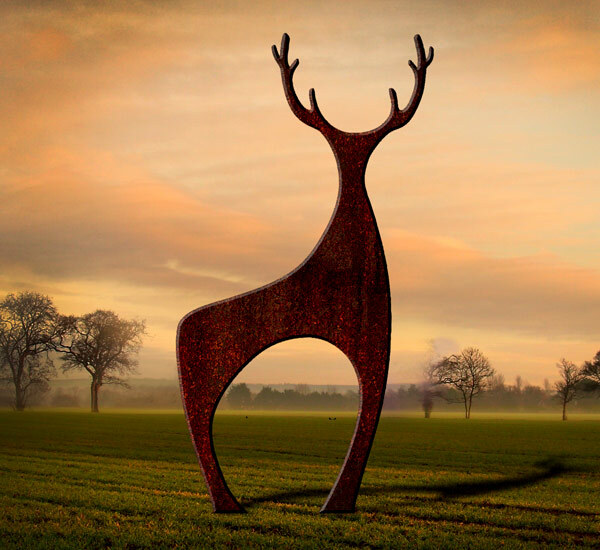 Inspired from watching the deer at the end of our garden, the warm rich hues of this rusted metal sculpture, glow in the sun, making a real focal point in the garden. 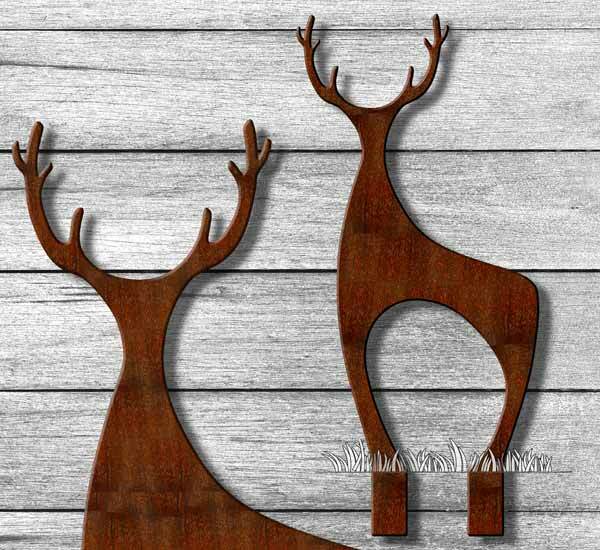 We think it looks great on its own or with other members of our deer family as part of a herd. Interested in a herd, take a look at our herds page for ideas or please do get in touch with your own. 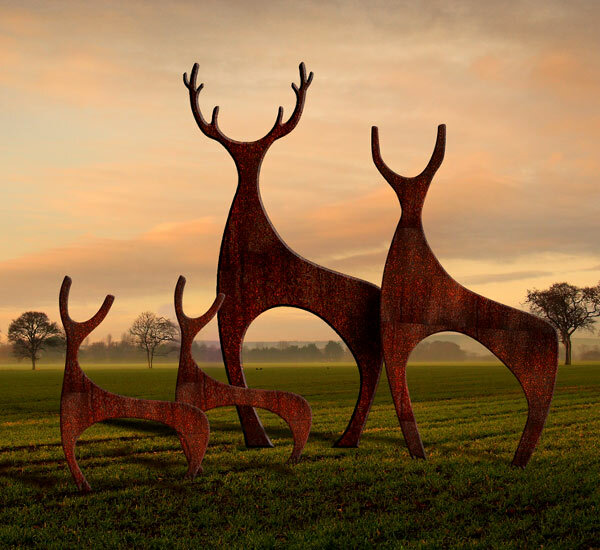 We make this sculpture to order and aim to deliver in 4-5 weeks for the receipt of your order.